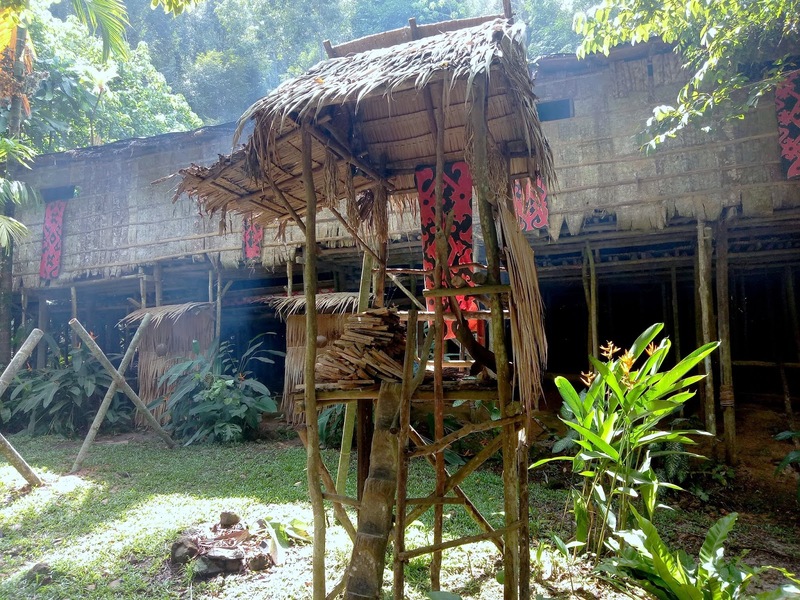 Are you eager to learn more about the indigenous tribes of Sabah? 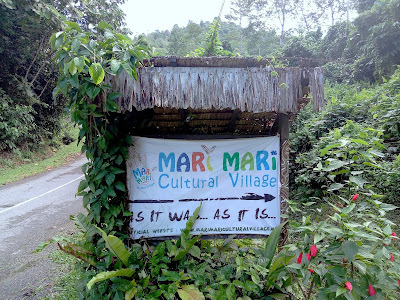 Mari Mari Cultural Village is a great place to start. The attraction in Ulu Kionsom is approximately 9 kilometers from Inanam. There are usually two session every day. The guided tour begins at 10:00am or 2:00pm, and takes around 3 hours per session. A guide is assigned to each visiting party. The tour is conducted in English, but due to a large number of tourists from China, some guides are proficient in Mandarin too. 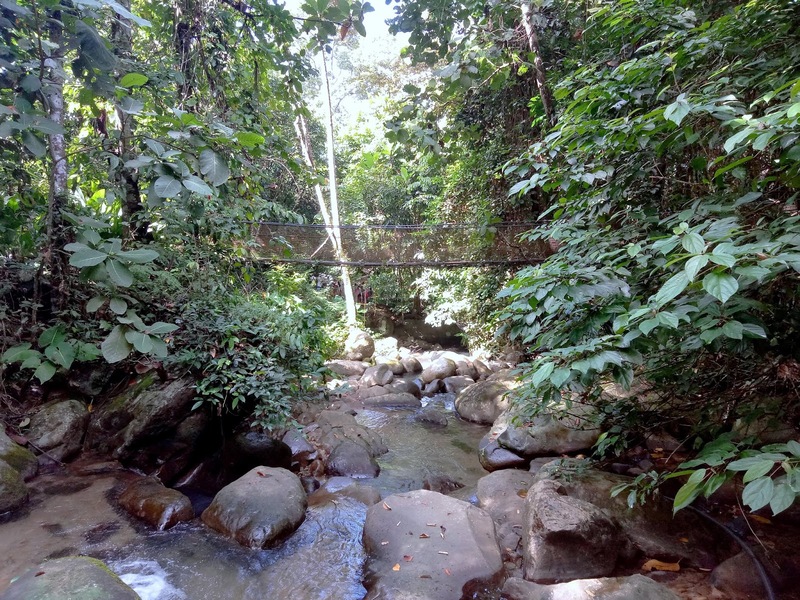 From the main entrance, visitors walk across a rope bridge over a small stream. 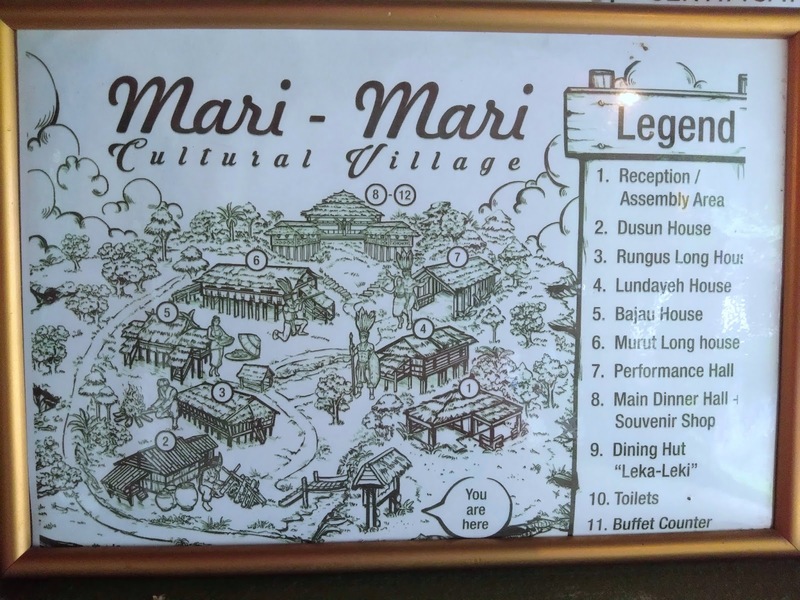 On the opposite side is a multicultural village that represents the five largest ethnic groups in Sabah: Dusun, Bajau, Murut, Rungus and Lundayeh in descending order. Each house was constructed by descendants of the respective tribe. Kadazandusun is the merger of two former subgroups: Kadazan and Dusun. 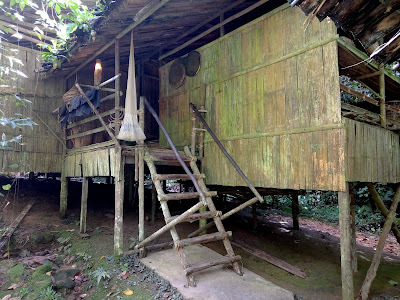 Dusun people are traditionally agrarian and reside in the west coast of Sabah. Many are rice farmers in the upland valleys of Crocker Range. 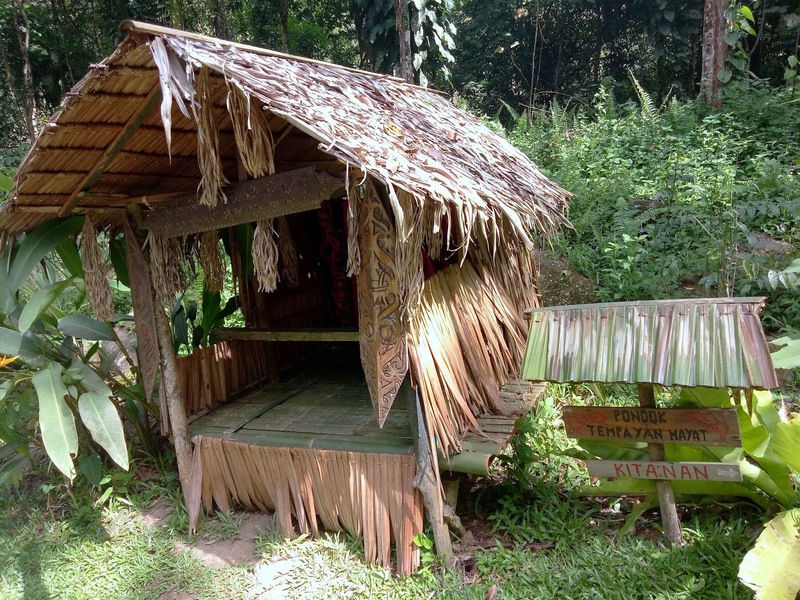 Animism used to be the dominant religion, but at present most Dusun people are of the Christian faith. As with many ethnic groups in Borneo, Dusun houses are constructed on stilts as a defense against wild animals and intruders. The ladder at the entrance is actually narrower than the one shown here. It can be easily removed to impede the advance of raiders. 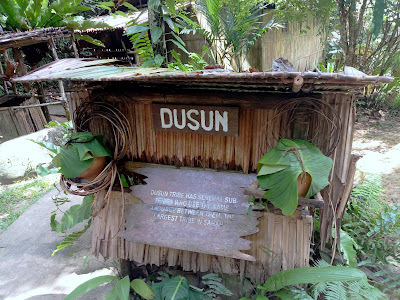 Dusun culture is heavily influenced by rice farming. Kaamatan, the harvest festival, is the most important celebration of the year. 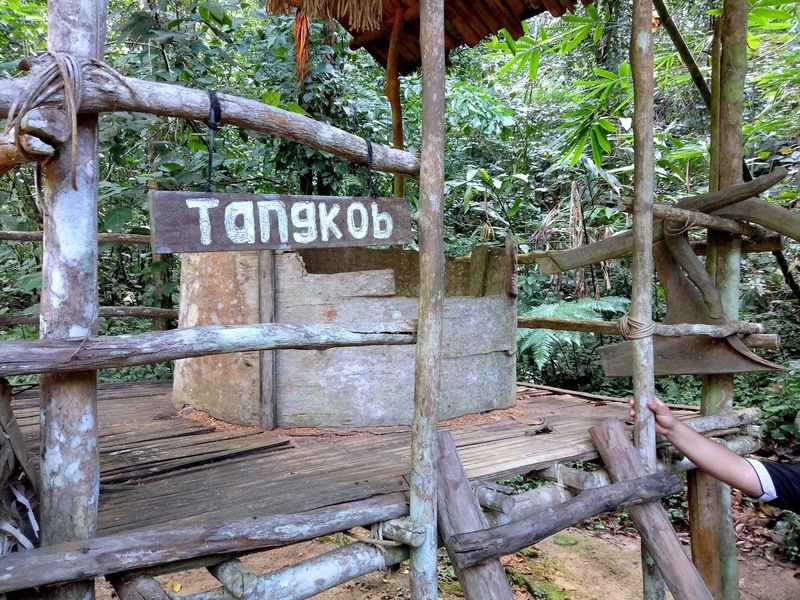 Tangkob (granary) is used to stockpile rice after a bountiful harvest. It is usually raised above the ground to deter wild animals. Excess rice from the harvest is often made into alcoholic beverages like lihing and montoku. 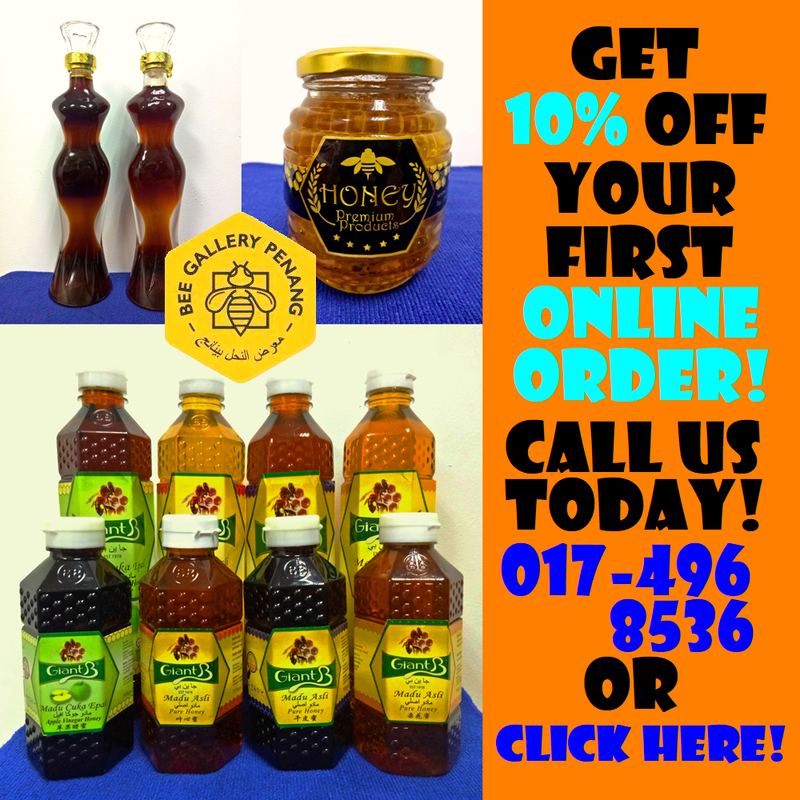 Lihing is fermented from glutinous rice and is widely sold in Sabah. Meanwhile, montoku is a hard liquor (up to 40% alcohol content) produced by distilling fermented rice. 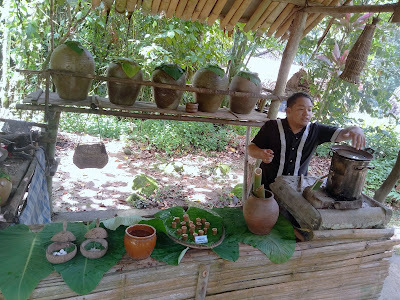 Rice wines are usually served by using bamboo drinking cups. 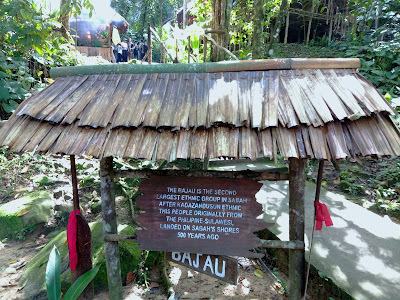 Bajau is the second largest ethnic group in the state. 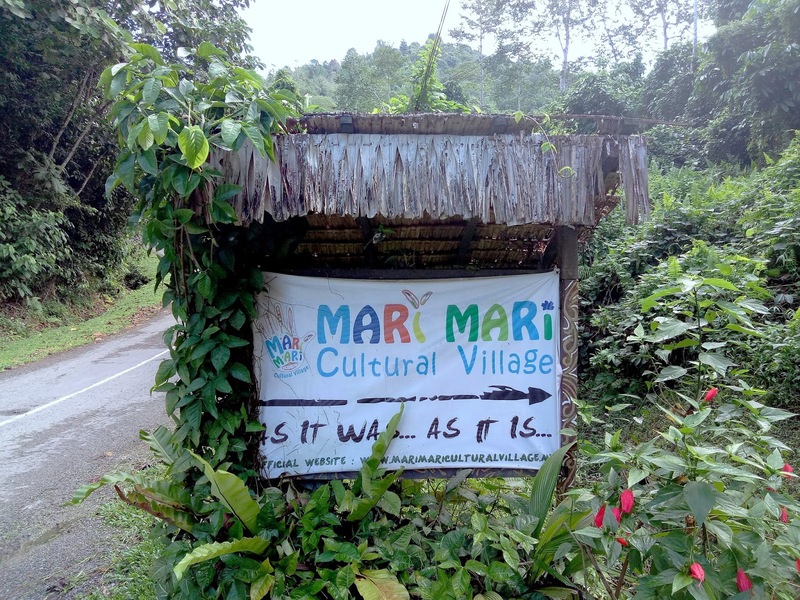 There are two major subgroups in Sabah. The Bajau Laut, sometimes called "Sea Gypsies", are famed for their seafaring skills. They traditionally live on houseboats and are among the best freedivers in the world. On the other hand, the land-based Bajau Suluk are known for their equestrian (horse riding) culture. Due to their maritime lifestyle, many Bajau people are traders. Some of them became wealthy in line of work and can afford luxuries such as textiles. 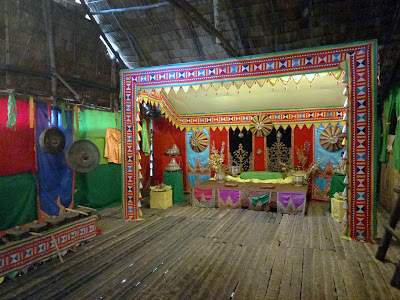 As a result, Bajau houses are usually fancier and appear more "cultured" than other ethnic groups. Most Bajau people embrace Islam, which explains why their wedding traditions are similar to Malays'. The bride and groom are seated on a "wedding throne" and are treated like royalty. The bride wears a "sarempak", an elaborate headdress that resembles a ship. Meanwhile, traditional musical instruments like gongs and kulintangan are played during the wedding ceremony. 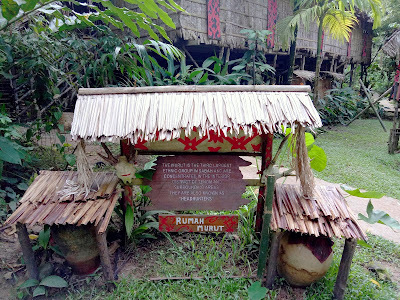 Murut, the warrior tribe, gained a fierce reputation as headhunters. Indeed, collecting heads of their enemies used to serve an important role in many religious beliefs. This practice eventually stopped as many Murut people converted to Christianity. 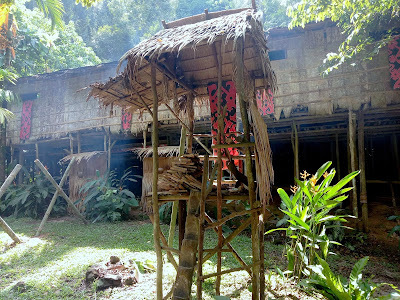 The Murut people are proficient in forging weapons like blowpipes. Made of cengal wood, blowpipes are drilled using iron rods. While hunting or warring, the darts are tipped with paralyzing poison extracted from a certain tree sap. Some blowpipes also have spear heads so that they can also be used for hand-to-hand combat. Murut people (as well as many Sabahan tribes) have elaborate funeral rites. The body of the deceased is kept inside a large pot (tempayan) and is left near the village. Sometimes, the pot is placed on trees. Kitanan is a religious ceremony that is performed 100 days after the passing of a prominent figure. As for the Rungus, most people live in northern Sabah near Kudat. Similar to Dusun, Rungus culture revolves around rice cultivation. Their longhouses are built closer to ground. Rungus people hold gongs in high regard as they are symbols of wealth. 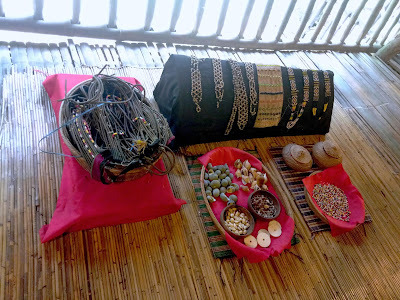 Rungus people are known for their impressive beadwork. Pinakol is worn over the neck and chest; the beadwork usually tells a story of a warrior who killed a river monster. 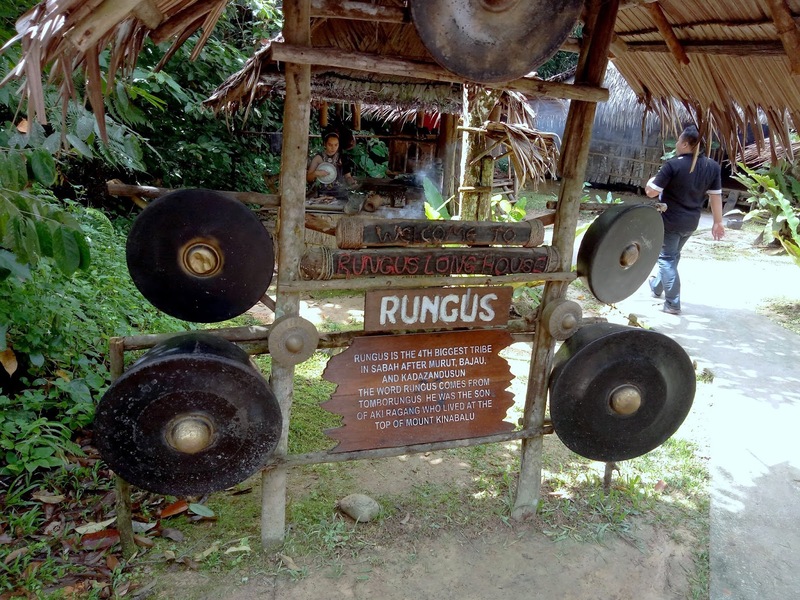 Rungus women also wear brass rings around their necks, hands and feet. 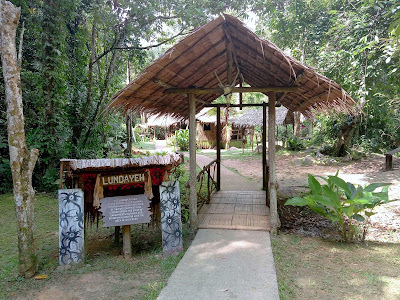 The Lundayeh formerly practiced headhunting, although they were not as aggressive as the Murut. 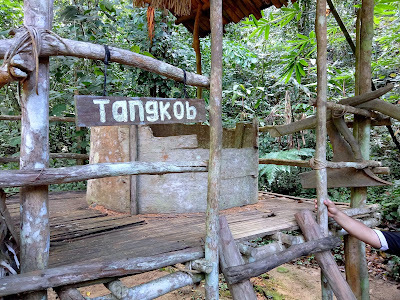 Most people inhabit in the southwestern region of Sabah near the boundary with Sarawak and Kalimantan. Lundayeh people traditionally engage in rice cultivation and animal husbandry. Because they reside next to rivers, some people make a living by hunting and fishing. The Lundayeh people worship crocodiles as a symbol of strength. 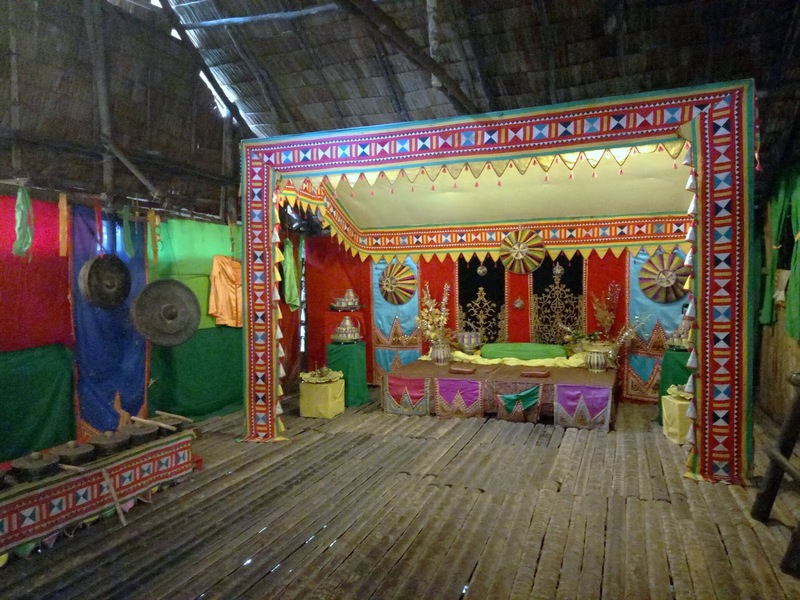 In the past, Lundayeh's headhunting rituals revolves around "ulung buayeh". 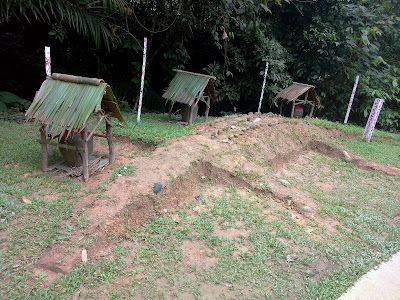 Made from earth, ulung buayeh is a ceremonial mound that resembles a crocodile. Our tour concludes with a 30-minute cultural dance in the performance hall. Afterwards, visitors are served lunch (or high tea). 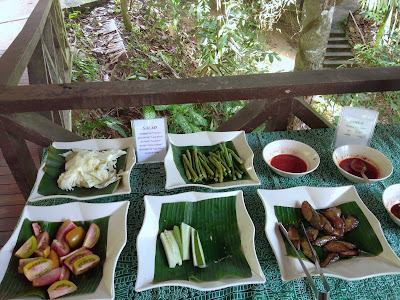 Home-cooked Sabahan dishes are presented in a buffet setting. This includes local produce and pungent condiments like sambal ikan bilis (spicy anchovy sauce). Cooked dishes include Sada Ginuring Nonsok Onsom (fried fish with tamarind), Ginuring Sada Bosungan (deep-fried bigeye scad), Sinalau Manuk Mari Mari (grilled chicken with herbs) and Sawi Masak Bawang Putih (mustard leaves with garlic). 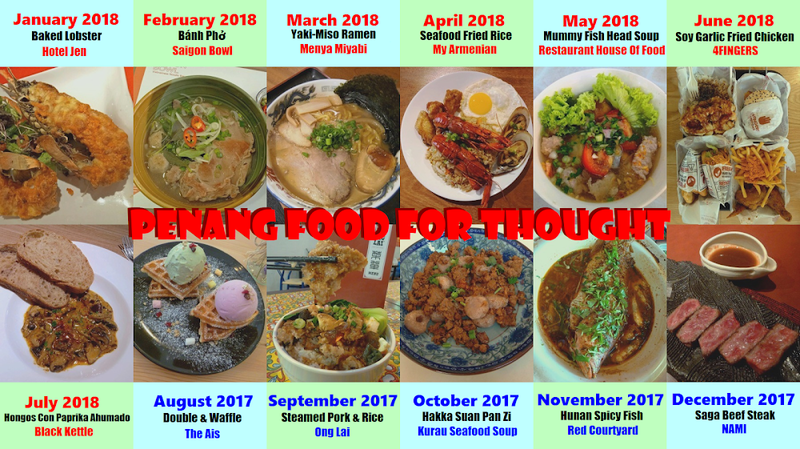 Most dishes can be eaten with Takano Tinanok (steamed rice). Bong Tingeriki (fried banana) serves as the dessert. 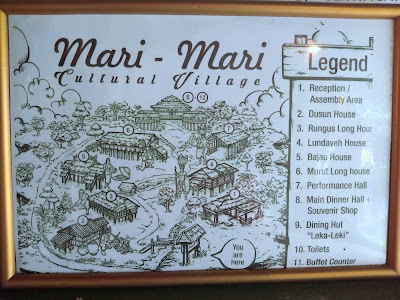 As an interactive museum, Mari Mari Cultural Village affords visitors lots of hands-on participation. 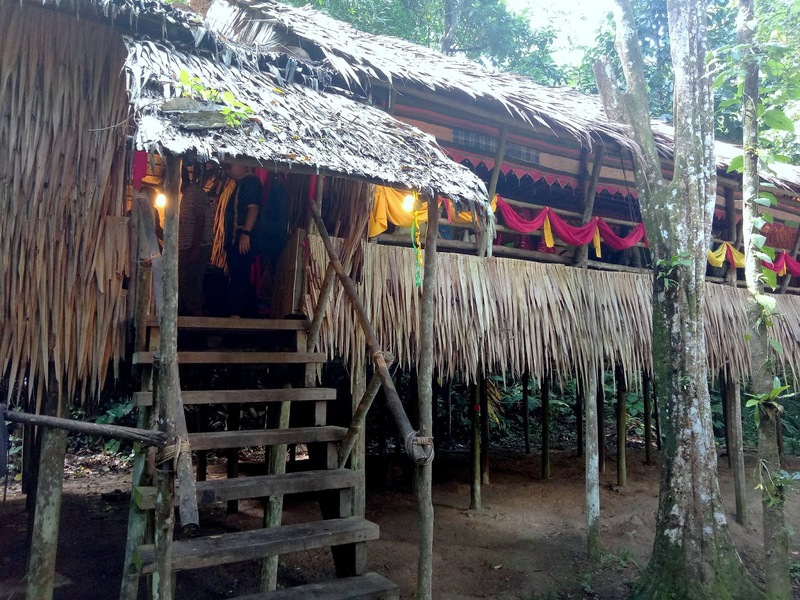 Visitors have the opportunity to immerse themselves in the rituals of each tribe. 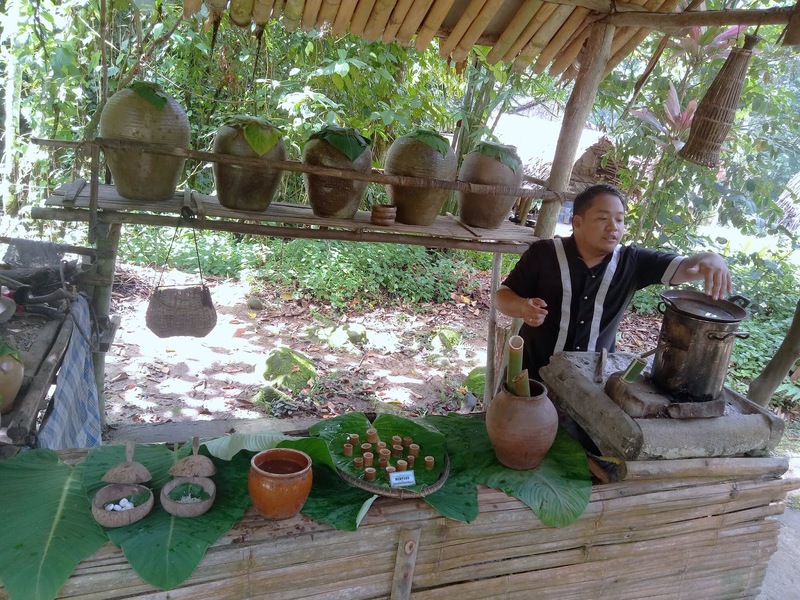 In addition, our guide is well versed in the subject matter and is very eager to impart his knowledge throughout the tour. The adult admission fee is RM155.00 for Malaysians. 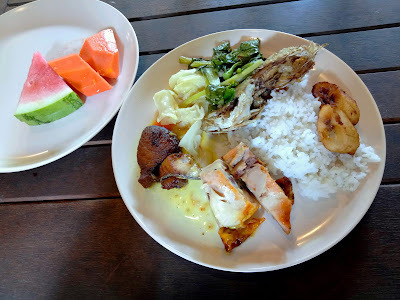 This price includes a meal and transportation from Kota Kinabalu. Alternatively if you have your own transportation, it is advisable to pre-register at the Sabah Tourism Board in Kota Kinabalu city center. You get to enjoy a special rate of RM95.00 only!